Thanksgiving Leftovers? 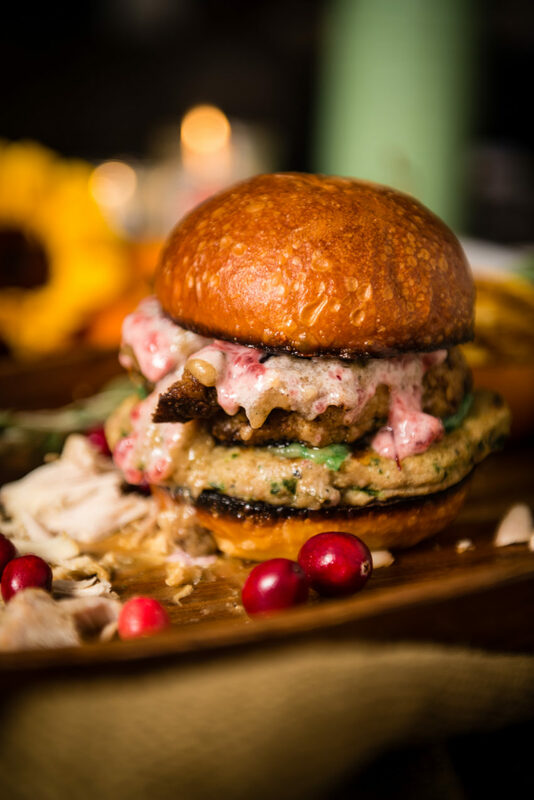 Black Friday Turkey Burger Recipe will cure that in an over the top and crazy delicious way. 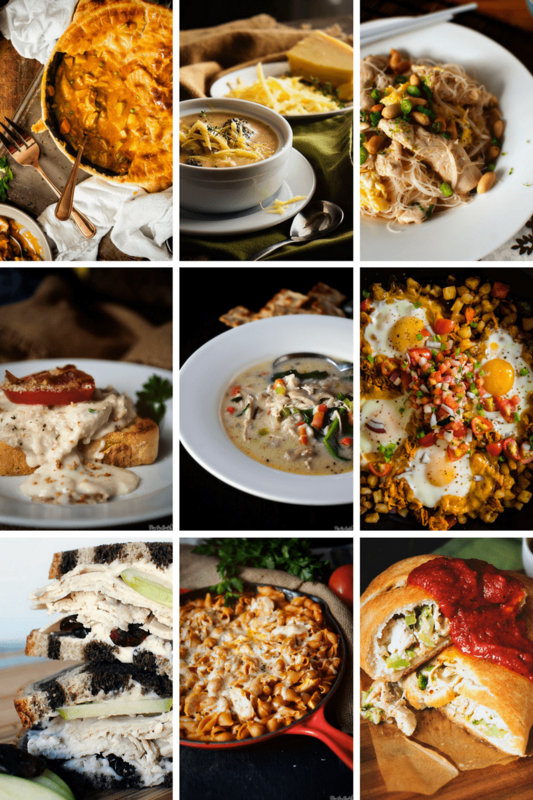 Scroll down for a list of killer recipe ideas as well. Chances are there is a small Tetris challenge happening in your fridge right now with leftovers strategically stacked and shoved in places so that they won’t fly out at the next unlucky soul daring to go in for a glass of milk. One bad judgment call and your fridge will disassemble itself faster than those giant Jenga cubes three hours into the wedding reception. It’s time to get creative with those Thanksgiving leftovers and quick before the family realizes they have had nothing but turkey for 4 days in a row in every meal. If you’ve tried any of my Thanksgiving Leftovers recipes, or any other recipe on GirlCarnivore.com please don’t forget to rate the recipe and let me know where you found it in the comments below. I get inspired by your feedback and comments! You can also FOLLOW ME on Instagram @girlcarnivore as well as on Twitter and Facebook. Got leftovers? 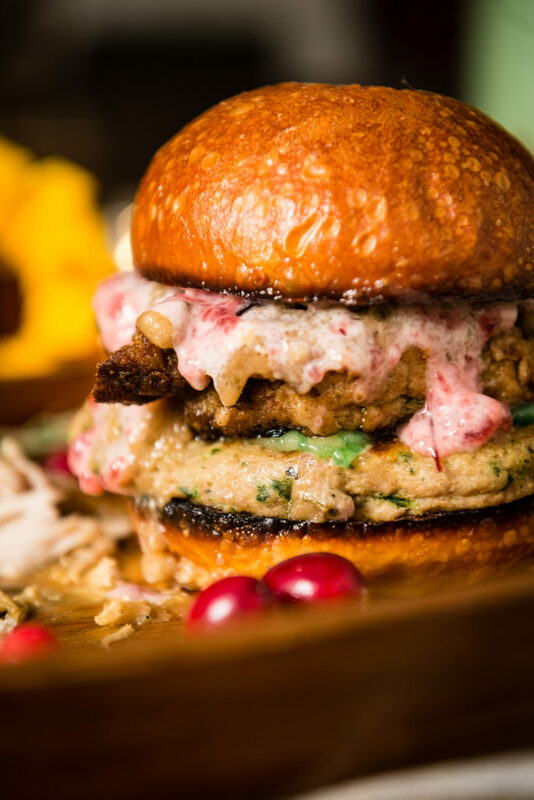 Pile them high for this over the top turkey burger creation. Don't want to make a patty? Shredded turkey will work great for this one as well! Preheat the oven to 200 degrees F. Soak the garlic in the olive oil in an oven safe baking dish. Allow the garlic to roast low and slow for 2 hours. Remove and allow to cool. In a food processor, add the egg yolks, and while running, slowly drizzle in the roasted garlic infused oil, mustard, and vinegar. Process on high and it will come together and create the mayo. Add in the cranberry sauce and pulse a few more times leaving some chunks still visible. Season with salt and pepper to taste. Store in an airtight container in the fridge. Butter and toast the bun. Smear a dollop of real cranberry sauce over the bottom of the bun. Arrange the cooked turkey burger over top. 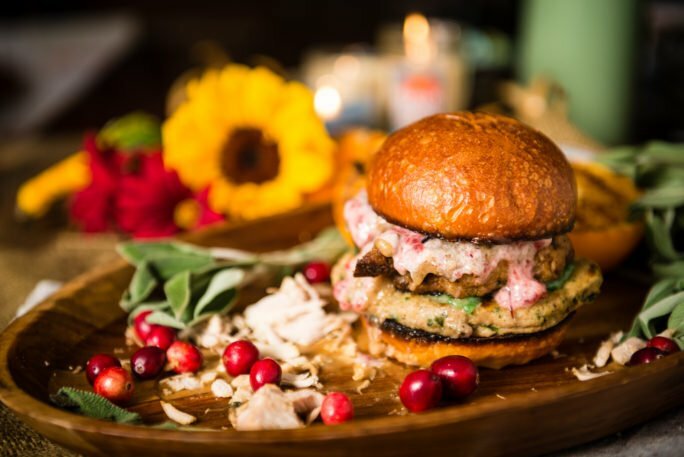 Add cheese, fried stuffing, gravy, and a slathering of roasted garlic cranberry mayo to the top bun and slam it down on top. I feel like I need a nap just looking at these divine leftover remakes – divine! That is one heck of a burger! Great idea for Thanksgiving leftovers!! I am trying to find some good recipes and this caught my eyes. I like this juicy burger. Thanks!